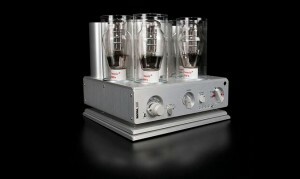 Posted September 27th, 2011 by Yvonne Hawkey & filed under Amplifiers, Nagra. What a way to celebrate your 60th birthday, Nagra have really pulled out all the stops with this one ! Taking the world renowned 300B triode valve and designing an amp from scratch around it is a major R&D project. The Nagra engineers have really got this mythical valve to sing. At Sonata, weâ€™ve got a real soft spot for integrated amps and this oneâ€™s amazing. An amplifier for all time ?…… weâ€™ll keep you posted.